Kasabian are a huge selling band but, much like Elbow, most of their output hovers somewhere between generic radio filler and just plain dull. The idea of a Kasabian covers EP isn’t necessarily one that should excite: if you love Kasabian – for whatever reason – chances are, you’d want to spin the original tunes; if you hate Kasabian, hearing someone else recycling their often forgettable songs probably isn’t anywhere near the top of your priority list. The fact that Kasabian are a generic radio filling non-entity didn’t deter singer-songwriter Sophia Marshall. The one time Have-Nots vocalist went to school with three members of the band and uses that as a springboard for her first covers EP of 2018. 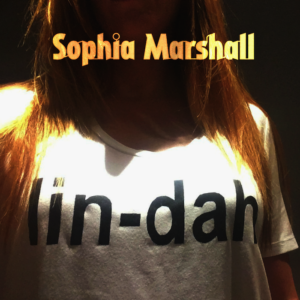 The cryptically titled ‘lin-dah’ finds the Leeds songstress taking three Kasabian songs and remoulding them in her own image. For something which, on paper, sounds less than pleasurable, the results are…impressive to say the least. Following the first batch of UK live dates promoting their second album ‘Knowing What You Know Now’, Marmozets headed off to Europe. The shows were extremely well received. At the point other bands might take a short rest, Marmozets are trucking on with the live work and have just announced another batch of live dates. All confirmed shows can be seen in the poster below. With their new album ‘Autonomy’ just released on February 23rd, indie rockers Table Scraps continue promotion for the new record with a brand new video featuring…sock puppets. The visuals that accompany ‘I’m a Failure’ – taken from the new LP – come across like a hybrid of MTV’s past with elements of Beavis & Butthead and Liam Lynch’s ‘Sifl & Ollie’ show. Musically, this new offering from Table Scraps is very much in keeping with the visual, since their brand of wantonly fuzzy indie pop retains a very irreverent style. State Cows are back! The cult Swedish westcoast band will return with a new album ‘Challenges’ in the near future. A Valentines Day update on their official Facebook page claimed it was “still too early to schedule a release date”, but they’re already streaming a couple of new tracks from their Bandcamp page. You can stream the new tracks ‘I Got The Message’ and ‘Borrowed Time’ below.